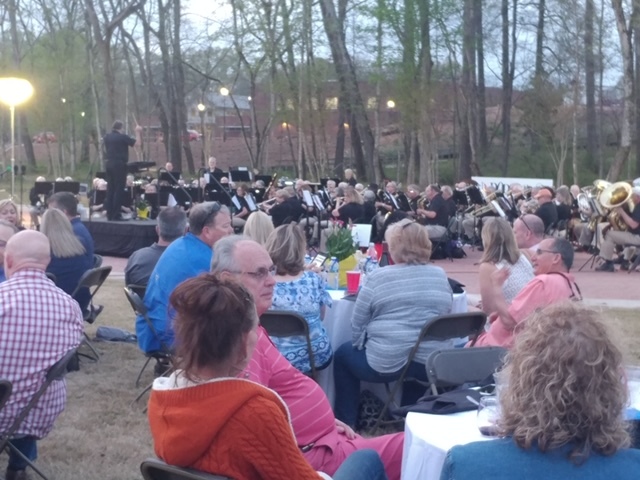 Gentle, spring temperatures and beautiful music greeted an appreciative crowd of 1,500 at the very first concert in Logan Farm Park April 6. Three of our artists opened their homes for guests to enjoy the colors of spring in their unique studios and tour their very distinct gardens April 13. Here’s a look inside that day. Artist Carol Allegood works in various media. her historic home is an extraordinary canvas for her work. Art House Executive Director Cathy Green works in watercolors and acrylics. Her home, studio and gardens follow. Palma’s passion is in working with oil and clay. Her love of eclectic expression and natural beauty is evidenced in her work and her home.